The only way to fight a ghost is with some of your own magic. Unfortunately, though, you can’t mix up a good potion until you can convert the fractions in the recipe book to the decimals in the measuring cups. This magical free printable math worksheet is a great way to practice fractions and decimals. 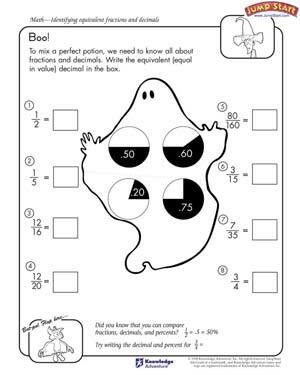 And when you are done, don't forget to check out these interesting math worksheets for all grades.